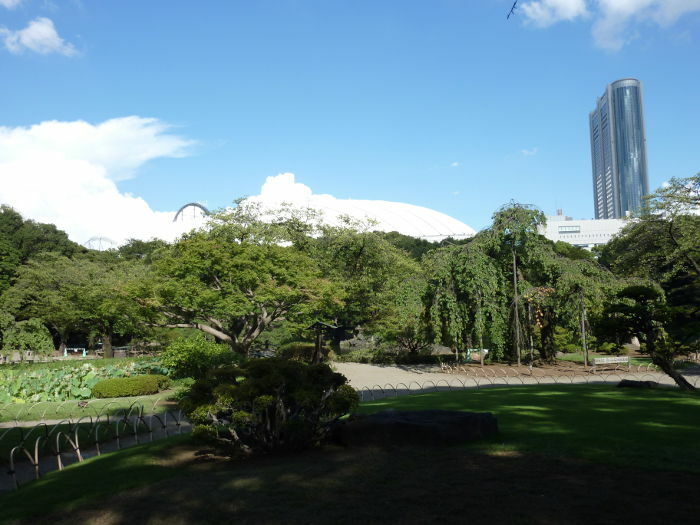 This incredibly beautiful garden is located right beside Tokyo Dome City, in the middle of Tokyo. 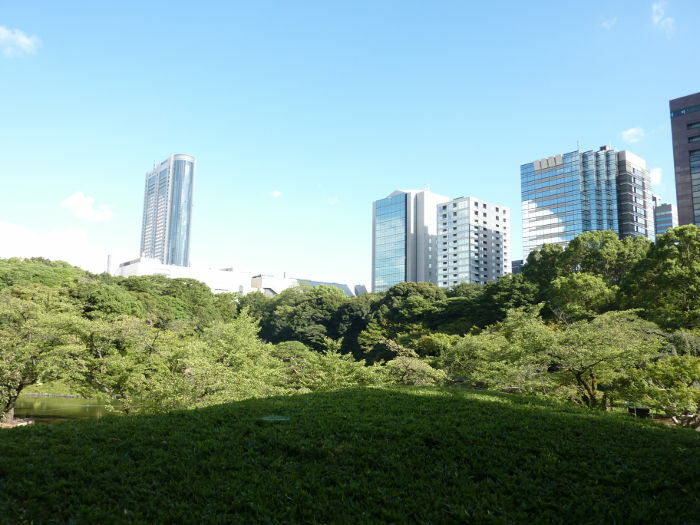 When you walk the paved walks beneath the green trees it really doesn’t feel like you are walking around in one of the biggest cities of the world. 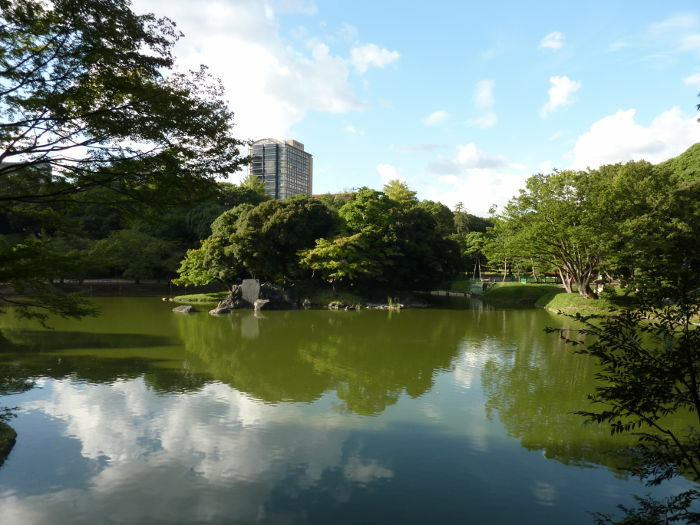 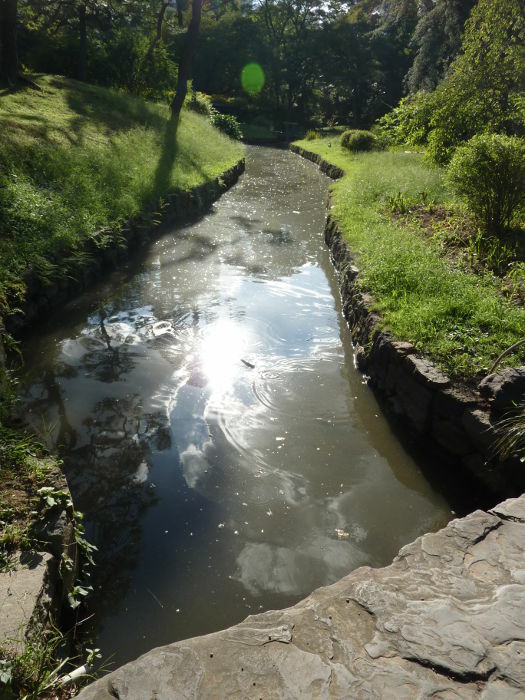 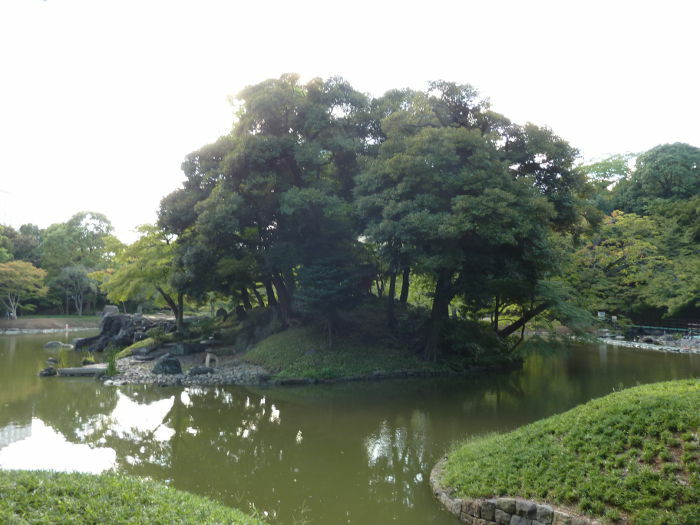 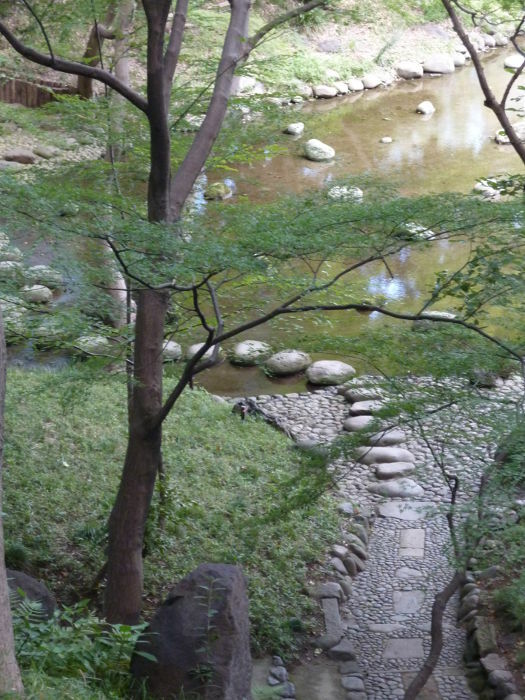 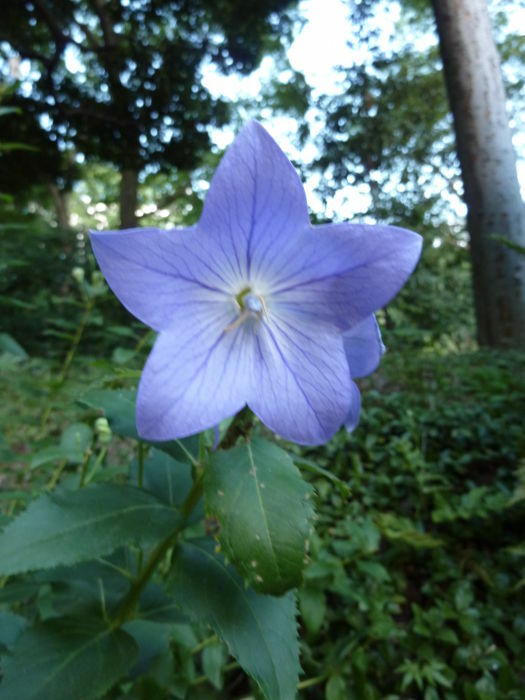 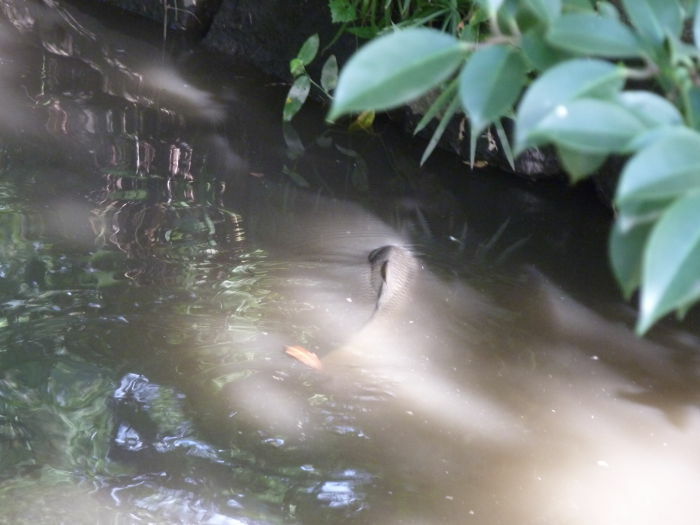 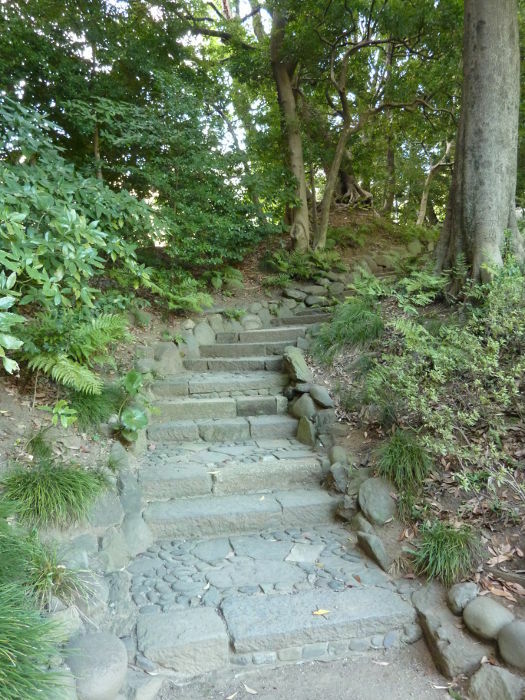 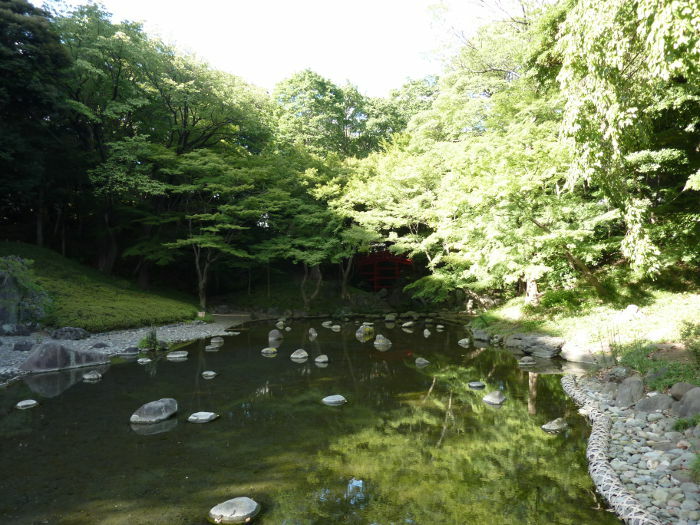 This is one of two clan gardens from the Edo period that have been preserved in modern Tokyo. 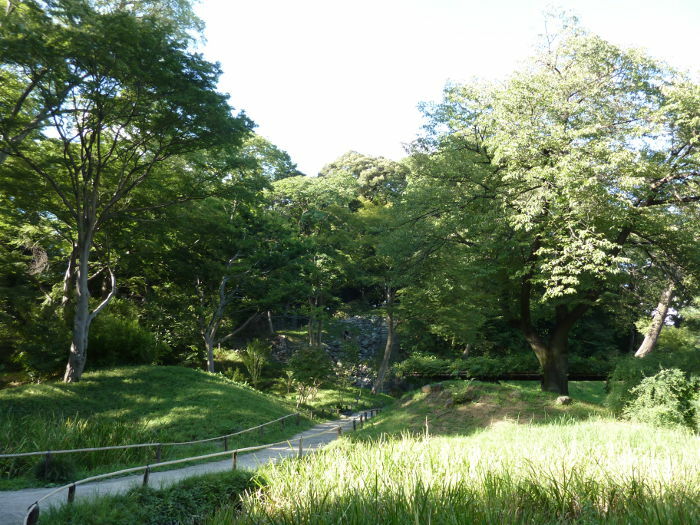 The construction started in 1629 by the feudal lord Tokugawa Yorifusa and was completed by his successor Tokugawa Mitsukuni. 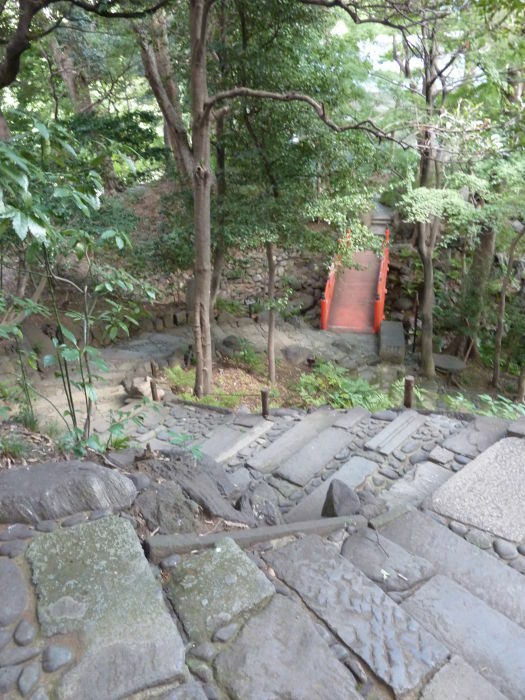 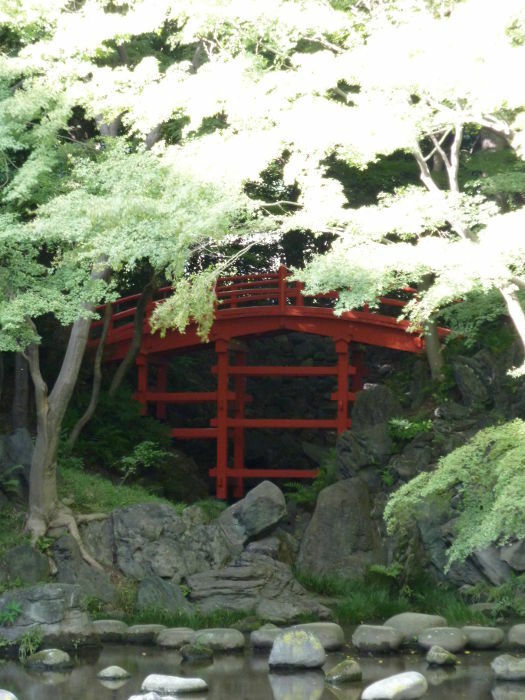 The red bridge Tsuten-kyo is an imitation of the bridge in the Tofukuji temple in Higashiyama, Kyoto. 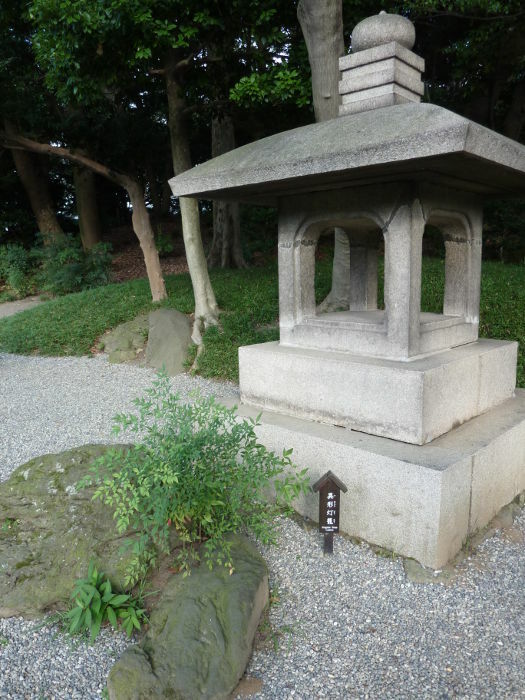 The stone Byobu-iwa (picture screen rock) looks like a picture screen, and it’s said that the third shogun Iemitsu often visited this place and sat on the stone near the river. 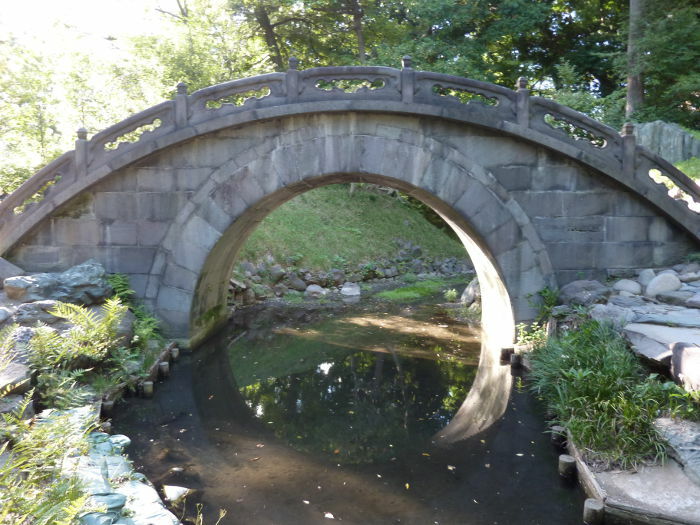 The bridge Engetsu-kyo (full moon bridge) is so called because its shape combined with its reflection in the river below forms a full moon. 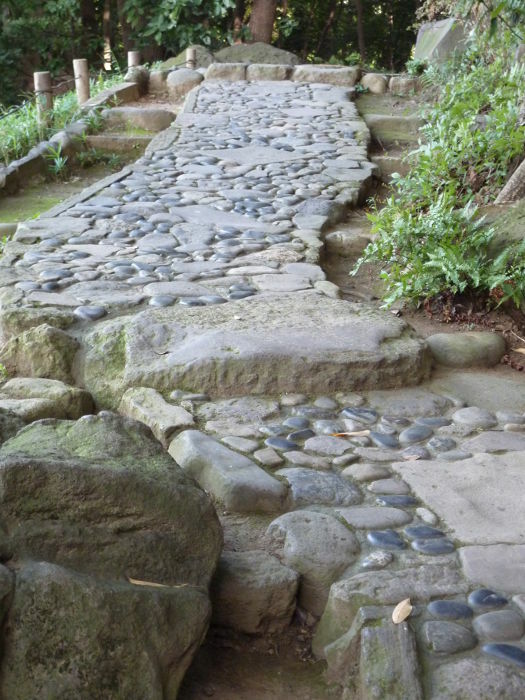 A nobedan is a kind of paved walk and there were many of those in this garden. 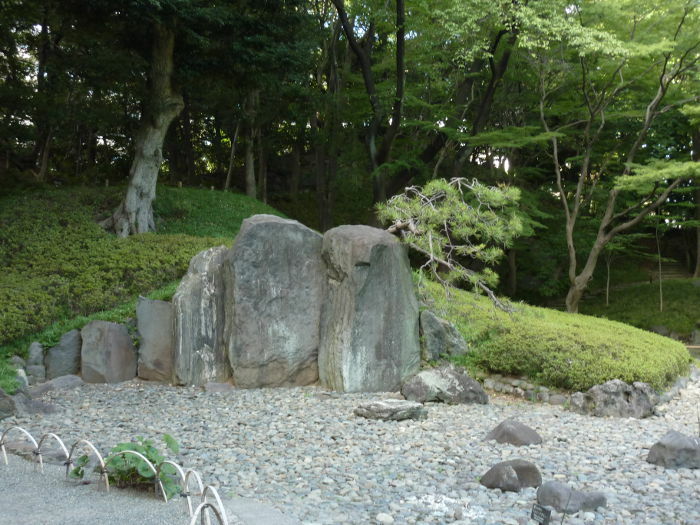 One of my last photos shows a nobedan in Chinese style, with hewns stones and natural pebble stones.